AdventureSmith Explorations is offering last-minute savings of up to $1,200 (per couple or $600 per person) on select departures of 2019 small-ship cruise vacations in Alaska. TRUCKEE, CA – The small ship cruise company, AdventureSmith Explorations, is offering last-minute savings of up to $1,200 per couple ($600 per person) on select departures of 2019 cruise vacations in Alaska. 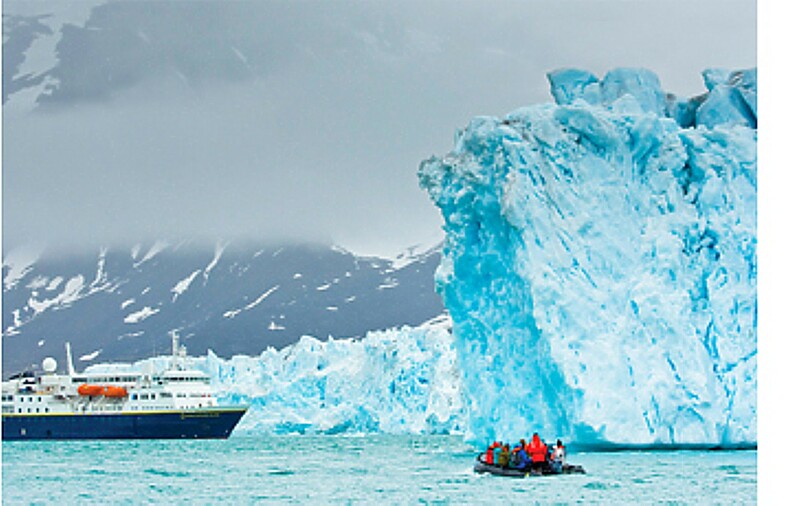 Alaska’s Glaciers & Whales is an eight-day cruise from aboard the 88-guest Safari Endeavour. Savings are applied to May 26, June 9 and 23, July 7 and 21, and Aug. 4 and 18 departures. Suites on this ship include balconies; activities options include stand-up paddleboarding and kayaking. Alaska Fjords & Glaciers that discovers glaciers, fjord cliffs, deep valleys and whales, the Tlingit culture and Tongass National Forest, with savings on the Wilderness Adventurer April 6, on Wilderness Discoverer June 29 and July 6, and Wilderness Explorer July 6 and 13. For details on all of AdventureSmith Explorations’ small ship cruises, itineraries, availability and for 2019-2020 reservations, call 866-575-2875 toll-free or visit the company website. TRUCKEE, CA – Small cruise ships purpose-built to ply the planet’s polar regions also transport guests on floating Arctic wildlife safaris. AdventureSmith Explorations, founded in 2003, is a recognized leader in small ship cruising (“Think Outside the Boat!”). In 2012 owner Todd Smith joined the ranks of Condé Nast Traveler‘s prestigious world’s Top Travel Specialists list as the leading expert on small ship expeditions. Todd Smith, small ship cruise expert and founder of AdventureSmith Explorations, discusses the variables of itineraries and small ships cruising the Arctic Circle. TAHOE CITY, CA – The Arctic is on many bucket lists thanks to polar bears and Northern Lights. But what else may travelers anticipate on a cruise in the Arctic Circle? And what questions should they ask when booking a cruise on the Arctic Ocean, the world’s smallest and shallowest ocean that is fringed by eight countries? The experiences guests seek may also determine the ship they choose. AdventureSmith Explorations‘ fleet of expedition ships cruising to the Arctic carry 78 to 148 guests and are specially outfitted to travel in polar waters. They are all fairly similar in terms of ice class and amenities. For more intimate explorations, this company also recommends a fleet of vessels carrying just 16 to 20 guests that offer the same close-up exploration as larger expedition ships but also provide access to shallow harbors and small islands. For information on all of AdventureSmith’s small ship cruises, itineraries, availability and 2016-2017 reservations, Phone: 800-728-2875 toll-free or visit www.adventuresmithexplorations.com. In 1966 Lars-Eric Lindblad led the first ever citizen-explorer expedition to Antarctica – at the time it was almost as extraordinary as a lunar launch would be today. It also marked the creation of the category of expedition travel. He opened up the remote regions of the world and countless opportunities for so many, helping them to experience and think of the world differently. 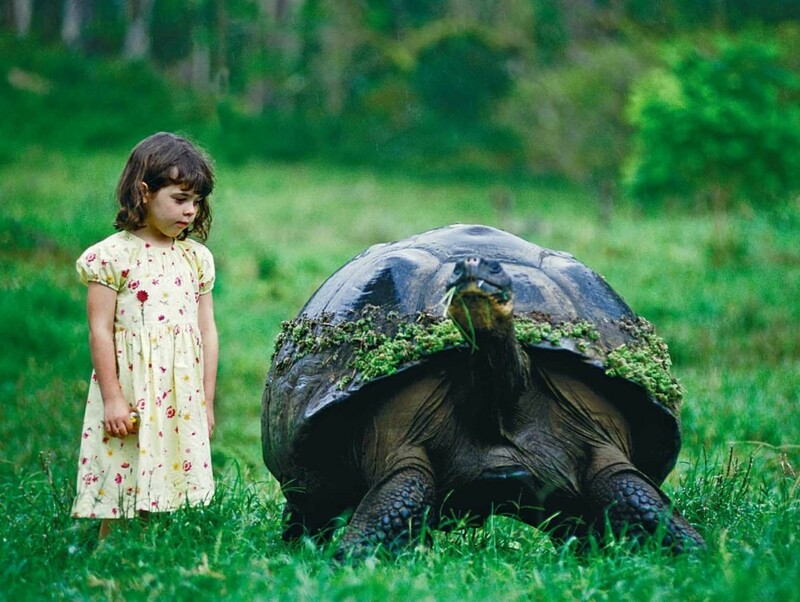 Lars-Eric Lindblad pioneered travel to the Galapagos Islands, as well as measures to protect the fragile ecosystem from being overrun by tourists. Postcards or letters from someone on a voyage. The collection of memorabilia will be used in a multitude of ways, including being featured (with credits) in the updated version of Lars-Eris Lindblad’s autobiography, Passage to Anywhere that will chart the history of expedition travel from 1966 to now. To share your materials, send negatives and/or collectibles via tracked mail (please insure any items of value to you) to: Lindblad Expeditions, c/o Elissa Marton, 96 Morton Street, 9th Floor, NY, NY 10014. Small digital files should be emailed to 50years@expeditions.com; and large digital files can be uploaded to http://anniversary.expeditions.com. ; Items will be photographed and returned via tracked mail. 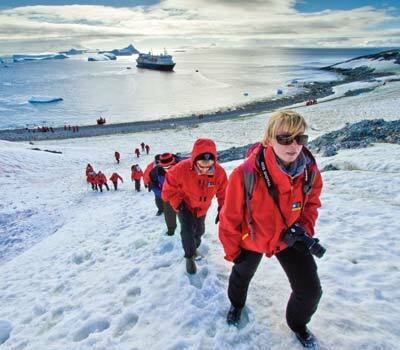 For more information about Lindblad Expeditions visit http://www.expeditions.com/ or call 1-800-EXPEDITION. Small ship cruise expert AdventureSmith Explorations announces a new 10-day Baja, Mexico cruise aboard the 86-foot, historic eight-guest adventure yacht, Westward. TAHOE CITY, CA–Small ship cruise expert AdventureSmith Explorations announces a new 10-day Baja, Mexico cruise aboard the 86-foot, historic eight-guest adventure yacht, Westward. 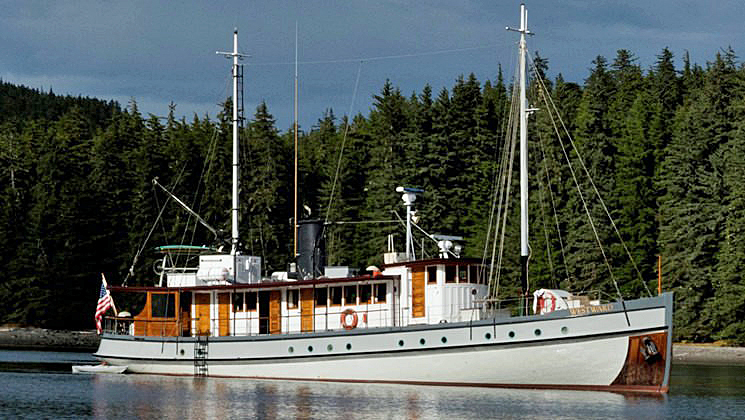 Launched in 1924 as the flagship of the Alaska Coast Hunting and Cruising Co., she is arguably Seattle’s most famous motor yacht having pioneered hunting, fishing, and adventure travel in the remote regions of Washington, British Columbia and Alaska. “Westward Voyages in the Sea of Cortez, launching January 2015 is our perfect complement to an already outstanding portfolio of Baja small Ship Cruises,” said Todd Smith, AdventureSmith Explorations’ Founder/Owner. Ten-day itineraries featuring both the Sea of Cortez and whale watching in the Pacific’s San Ignacio Lagoon are offered in January and February 2015. 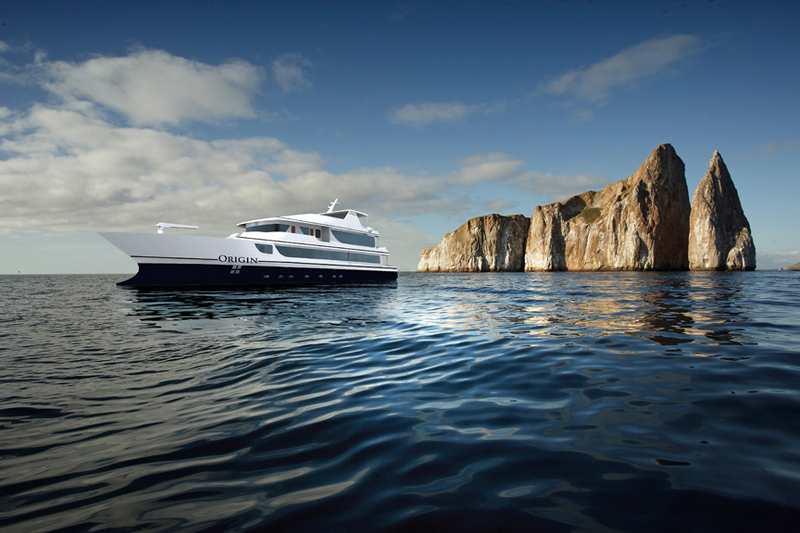 Smith likened cruising the eco systems of the Baja Peninsula to cruising the islands of the Galapagos. Both regions offer explorations of geography, flora and fauna, bird and wildlife. Both regions are UNESCO World Heritage Sites. Westward Voyages in the Sea of Cortez spends seven days cruising in the Sea of Cortez with three days watching gray whales based from Kuyimita Tent Camp adjacent to San Ignacio Lagoon Whale Sanctuary. The resulting 9-night/10-day cruise/tour is the most in-depth and intimate Baja exploration available. The per person double rate is $5,750. See: www.adventuresmithexplorations.com/westward-voyages-in-the-sea-of-cortez . Westward will ply the pristine waters of Baja in the coolest months in order to enhance the cruise experience that includes the cacophony of leaping rays, spouting whales, acrobatic dolphins and chirping bird song from the dawning shore. Guests and crew gather on the 17 by 14-foot shaded back deck for meals and conversation. Each stateroom has three portholes that open. In addition each bathroom has one opening port. Staterooms are outfitted with a portable, battery-powered fan to provide a breeze on still nights. The air may be warm and dry in the Gulf of California winters, but the water is cool and helps offset the warmth of the day, especially in staterooms that extend below the waterline. Other cruise programs on ships for up to 84 guests are available. (See: www.adventuresmithexplorations.com/baja-california). Additional options include two eight-day whale watching cruises January-March on a variety of small ships. Rates are from $2,995 per person, double, aboard the 84-guest Safari Endeavor. 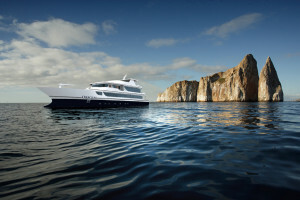 Rates are from $5,990 per person, double, aboard the 62-guest National Geographic Sea Lion and Sea Bird. Additional cruise programs for up to 15 days are also offered in this region. Founded in 2003, AdventureSmith Exploration has become a global leader in small ship, expeditionary cruise vacations. Company president and founder Todd Smith pioneered the concept of wilderness cruising – combining the comforts of a small cruise ship with the adventure of sea kayaking and exploring ashore in remote wilderness areas. In 2012, Smith joined the ranks of Conde Nast Traveler’s prestigious 14th Annual Travel Specialists List as the world’s expert on small ship expeditions, and again in 2013 and 2014. For information, availability and 2015 reservations, 800-728-2875 or visit www.adventuresmithexplorations.com. 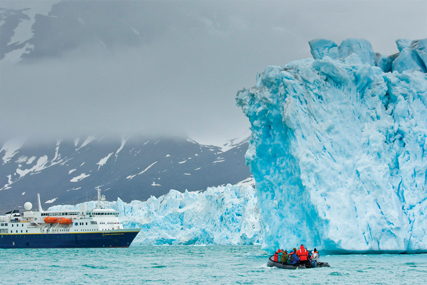 Lindblad Expeditions-National Geographic has announced seven new itineraries for 2015 aboard National Geographic Explorer. The diverse itineraries range from the iconic to the little known, mostly wild, with human history and culture woven in. The 148-guest National Geographic Explorer is uniquely equipped with an ice-strengthened hull and advanced navigation equipment for polar expeditions; a roster of tools for exploration; and the best expedition team in the industry. 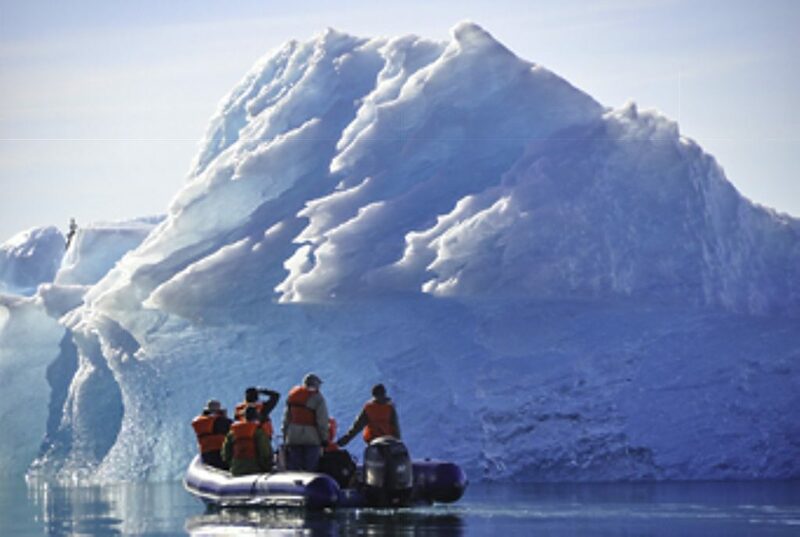 With a fleet of Zodiacs and sea kayaks, the ship fosters genuine up-close exploration, enabling guests to have life-enhancing encounters with beauty, wildness, serenity and silence, in the planet’s most pristine places. For reservations or additional information on Lindblad Expeditions-National Geographic voyages, visit www.expeditions.com, call 1-800-EXPEDITION (1-800-397-3348) or contact your travel agent. Lindblad Expeditions-National Geographic has announced the guest speakers in their Global Perspectives Program aboard the National Geographic Explorer for the 2015/2016 season. Drawn from the top tiers of journalism, science, and world affairs to add relevant insights, the Global Perspectives Speakers have been chosen to share the expedition experience as active participants and fellow travelers, which allows guests to hear them in the context of their lounge talks, and to spend time with them throughout the voyage while cruising in a Zodiac, on a hike, or during dinner. Alasdair McGregor: Writer and historian, he wrote the definitive biography of the renowned expedition photographer/adventurer on Ernest Shackleton’s Imperial Trans-Antarctic Expedition, Frank Hurley: A Photographer’s Life. Antarctica, South Georgia & the Falklands, November 7, 2015; Antarctica, November 27, 2015. César Gaviria: Former President of Columbia, César Gaviria is known throughout Latin America as an advocate of democracy, staunch supporter of regional integration, and defender of human rights. An engaging and insightful speaker, President Gaviria will return to the National Geographic Explorer to welcome guests to his country and introduce them to the economic and political climate of Latin America. Coastal Treasures from the Panama Canal to Peru, September 27, 2015. Captain Alfred S. McLaren: Capt. McLaren has explored beneath the Arctic ice on numerous expeditions, the last as commander of his own sub. After retiring from the Navy in 1981, he earned a Ph.D. in polar studies and focused his research on the Arctic’s role in climate change. President of the American Polar Society and Honorary Director and President Emeritus of the Explorers Club, in 2012 he received The Explorers Club’s highest honor, The Explorers Club Medal. Norway’s Fjords & Arctic Svalbard, May 19, 2015. Edward J. Larson: Pepperdine University professor and Pulitzer Prize-winning author, Edward Larson’s latest book, An Empire of Ice: Scott, Shackleton, and the Heroic Age of Antarctic Science, places the famed voyages of Norwegian explorer Roald Amundsen, his British rivals Robert Scott and Ernest Shackleton, and others in a larger scientific, social, and geopolitical context, much enlivened by his own Antarctic travels. Antarctica, January 7 & 17, 2015. Gil Grosvenor: Grosvenor serves as Chairman Emeritus of the National Geographic Society’s board of trustees and its Education Foundation, as well as an Honorary Director of the Explorers Club. He retired in 1996, as President of the Society—the fifth generation of his family to serve in that position. Canadian Maritimes, September 11, 2015. Dr. Joe MacInnis: Dr. Joe MacInnis is the first person to explore the ocean beneath the North Pole. He led ten research expeditions under the Arctic Ocean to develop the systems and techniques to make scientific surveys beneath the polar ice cap. His teams built the first undersea polar station and discovered the world’s northernmost known shipwreck. Antarctica, January 6, 2016. Peter Hillary: Peter is the son of Sir Edmund Hillary, the first man to summit Mount Everest along with Tenzing Norgay. Peter has climbed the highest mountain on every continent, including Mount Everest, and established a new overland route to the South Pole. Antarctica, February 6, 2015; Antarctica, South Georgia & the Falklands, February 16, 2015. Fen Montaigne: Journalist and author of Fraser’s Penguins: A Journey to the Future in Antarctica, Fen has long studied the impact of rapid warming. His work has appeared in National Geographic, The New Yorker and others. Svalbard, Iceland, Greenland, June 22, 2015. David Doubilet: Acclaimed leading underwater photographer David Doubilet has produced more than 70 stories for National Geographic magazine. In 2010 he was part of the Elysium Project, a team of explorers who followed in the footsteps of Sir Ernest Shackleton from the Weddell Sea to South Georgia, documenting the current state of this last pristine wilderness. Antarctica, South Georgia & the Falklands, February 15, 2016. 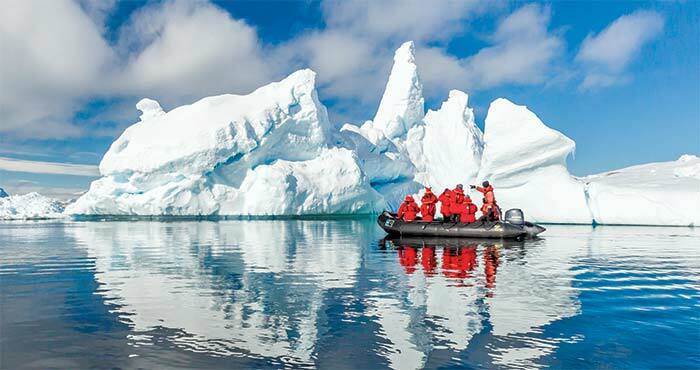 For more information or to book your Lindblad Expeditions-National Geographic voyage, visit http://www.expeditions.com/destinations/antarctica/celebrating-the-centennial/ , call 1-800-EXPEDITION or your travel agent.